Life after retirement is one of the most sensitive topics that seniors avoid. Some are just to confident and stubborn, thinking that they will not need help at some point of their lives in the future. Even if they insist that, I suggest that you should take advantage of this holiday season to sit down with them and start discussing about their future plans. I do agree that being reasonable is the key in helping your aging parents plan for their future. Always remember that it’s their lives and not yours so you need to consider their opinions as well. Introduce them to their options carefully and explain to them the different types of long term care services. For your guide you can find the different kinds of care settings here: http://www.ltcoptions.com/elder-care-services/. Help them make the right decision and make sure that they still have a little independence left once they move to a facility. Q: I think I know what my parents’ wishes are when it comes to care as they get older but now it’s time to be having this conversation with my parents I really don’t know where to begin. They don’t what to end up in a Nursing Home, and it’s getting to the point that they need some help. My brother lives in Dublin and my sister in Australia so it’s going to be up to me to start addressing this arising issue. Where do I start? The research you do ahead of time combined with a respectful and supportive approach to the conversation will go a long way toward a successful outcome. Prior to talking to your parents it would be a good idea to discuss your concerns with your brother and sister. If all the siblings are united, it will really help the situation. There’s no question that the Internet’s favorite commercials are from body care company Old Spice. The company’s ads have been spoofed, parodied, and copied countless times over the years, and for good reason. They are simply irresistible marketing gold! That makes the ridiculous and outrageous commercials perfect to be shown to the The Fine Brother‘s group of Elders for their Elders React series. The New York Times today takes a look at the work-life balance challenges facing a new generation—the AARP demographic. According to a new study, women aren’t just more likely to make career sacrifices to spend time caring for their kids. They’re more likely to drop out to care for their parents, too. The study, led by University of Calgary social work professor Dr. Yeonjung Lee, is based on data from the National Institute on Aging’s 2004 Health and Retirement Study, which recorded the activities of more than 5,000 Americans between the ages of 50 and 61. 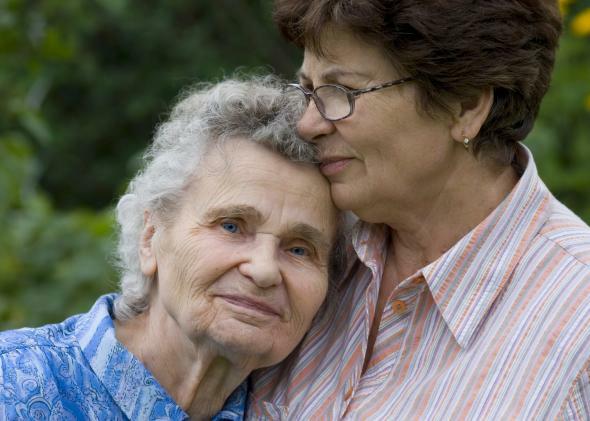 It found that women were much more likely to provide care for elderly parents than men were. Seven percent of the women in the sample “assisted with parents’ personal needs,” compared to 3.6 percent of men; 20 percent of women “helped parents with chores, errands, and transportation,” compared to 16 percent of men. And female caregivers were much more likely to exit the workforce to execute these duties. Women who cared for parents, grandchildren, or more than one relative were significantly less likely to be employed than their peers, but when men took on caregiving roles, their employment status was unaffected. Why are female caregivers more likely to opt out than their male counterparts? One possibility is that they’re more dedicated caregivers. Since the study included all caregivers who invested at least 100 hours over a two-year period, it lumped in full-time family caregivers with family members who provide more casual help. Caring for a relative’s “personal needs,” like bathing, might constitute a greater investment than running errands (a task where men pick up some of the slack). Another possibility is that older women are more likely to drop out of work, and assume more time-intensive caregiving duties at home, because many of them make less money than their male partners do—a lingering consequence of career sacrifices made earlier in life. When we talk about women exiting the workforce, we tend to focus squarely on early motherhood. A 2012 study in Demography found that a wage gap emerges when women become mothers because “the accumulation of work interruptions and breaks in schooling” depreciates their value as workers early in their careers, and impedes their ability to secure promotions and raises later on. Mothers may also seek out lower-paying jobs that accommodate part-time hours or flexible schedules to make time for childcare. But as this new study shows, women are also more vulnerable to dropping out a second time, as retirement looms. And while taking leave or reducing hours early in life can have a significant effect on women’s earning potential, dropping out late in life can pose an even greater financial crisis. The debate over women leaving the workforce is often framed in abstract terms—it’s either an issue of “fairness” (men and women should share childcare duties equitably!) or one of “personal choice” (women should be free to do what they want!). But the lived reality behind the debate is this: Bearing the brunt of unpaid care for children and parents compromises women’s financial independence and contributes to poverty in old age. We need to reframe the debate away from the individual choices men and women make in “balancing” their lives, and focus on how our government can ease the childcare and eldercare burdens that put women at risk, and aren’t going away. People fear life after retirement because they think that they will just become a burden to their family. Nobody wants to be in that position and the best way to dodge this is by planning as early as now. Based on the numbers mentioned at http://www.ltcoptions.com, about 70% of Americans 65 and above will need long term care. This is very alarming and thus people should make a move now. The cost of long term care is becoming more expensive and paying for this out-of-the-pocket will just deplete your assets. So what’s the best way to beat the high cost of long term care? By purchasing long term care insurance, one can avoid becoming a burden to their families and can successfully secure their future financially while receiving long term care. If you ask what most people fear most in retirement, it’s being a burden. Long-term care insurance can alleviate that fear, but it doesn’t come cheaply. About 70% of all retirees need long-term care at some point, although that includes help from family and friends as well as assisted living and nursing homes, says Jamie Hopkins, professor in the Retirement Income Program at The American College. When to buy long term care insurance greatly depends on your current age and health as the two are highly correlated. As a person ages, the health gradually becomes frailer. These two factors play an important role if you are intending to apply for long term care insurance. There is one fact that most people tend to overlook about long term care insurance application—you need to be health qualified. The healthier you are, the bigger the chance that you’ll be granted this policy. As the popular saying entails, it is your money that pays for long term care insurance premiums, but it’s your health that actually buys it. A lot of people are wondering at what age to buy long term care insurance. It is advised that you purchase while you’re in your 50′s. First, your health is still in great shape during this time. Second, age is also a basis whether you’ll qualify for long term care insurance or not. Annual increases on your premiums are also parallel with your age. For people who are in their 50′s, rates can increase by about 2-4%. Meanwhile, for those who are in their 60′s, it can go as high as 6-8% percent. Applying early lets you save and this savings can go to other investments or your retirement nest. A superb health condition greatly works for your benefit when it comes to long term care insurance. Companies usually offer discounts if you buy LTC coverage while your health is still at its prime. More so, this discount is locked-in. This means that your discount remains, regardless if you get ill or diagnosed with a medical condition in the future. As per the American Association for Long-term Care Insurance 2010 Sourcebook, there are a great percentage of people being qualified primarily because of good health. 62% of applicants between the ages of 40-49 have been granted. Same goes for the 46% of applicants between the ages of 50-59 and 38% of people aging 60-69. There are two scenarios that you might face if you have preexisting conditions and you want to apply for long term care insurance. First, you may not qualify at all. Second, your application can be accepted but you’re premiums will cost higher. Data from the American Association for Long-term Care Insurance 2010 Sourcebook, 14% of applicants between the ages of 50-59 who have preexisting conditions have had their applications refused. Meanwhile 23% of those aging 60-69 has also been declined. Even if you qualified while having underlying medical conditions, there can still be drawbacks on your end. Some companies can offer coverage for your preexisting condition, but it will set a waiting period before that certain benefit will start to kick in. If you want to get the best deal out of long term care insurance, use your age and health to your advantage. You may have the means to pay for the cost of premiums, but that will be all for naught if you can’t qualify simply because of your age and the state of your health. So to the question, when should I buy long term care insurance: purchasing early will no doubt make the application process smooth for you. Apart from that, it can also be advantageous to your wealth, as applying early can generate savings on your end. Long term care insurance partnership program is another option for people who will need long term care in the future. According to http://www.ltcoptions.com, this is also known as Medicaid Asset Protection. This is perfect for people who have assets to protect but need to qualify for Medicaid without having to meet the program’s minimum asset requirement. So even if you have high income and you have a lot of assets, you can now purchase long term care insurance under the partnership program. However, your policy should have inflation rider to become eligible for this program. In a Long-Term Care (LTC) Partnership program, a state government and private health insurers work together to make available to residents of that state LTC policies that are “linked” to Medicaid. If a buyer of a Partnership LTC policy later faces long-term care needs that exceed the policy’s limits, he or she may apply for assistance from the state’s Medicaid program under more relaxed eligibility rules. This means that the policyholder may keep larger amounts of assets than would normally be allowed under the standard Medicaid guidelines. Please note that these relaxed eligibility rules only apply to assets that may be retained – all other standard Medicaid qualification guidelines apply.